It is with joy and happiness, we announce that our brother Chidozie Onuoha who has been battling with his leg since the day he was shot with poisonous bullet on 30th of May 2015, when Biafrans were praying in remembrance, and honor of our Fallen Hero’s who were massacred in 1967-2015 by Nigerian Government and its evil armed force. Since 30th May 2015, Chidozie Onuoha has remained resolute and has unshakable spirit, but has been struggling to walk with his two legs even after undergoing several treatment here in Biafra land. 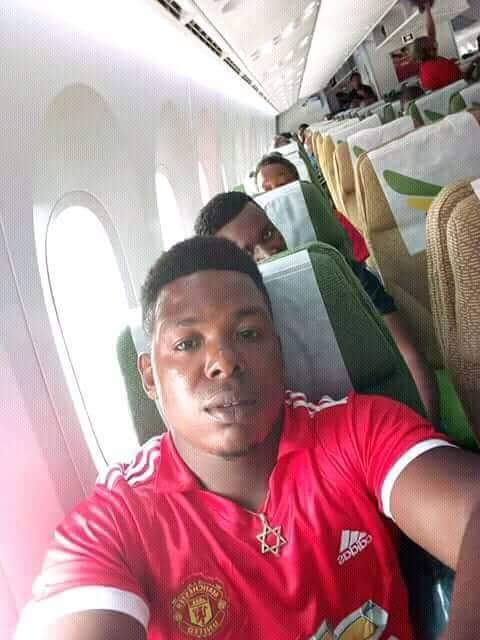 Finally, IPOB leadership has exhibited the “ONURU UBE NWANNE AGBALA OSO” slogan of IPOB, by taking it upon themselves to ensure that Chidozie is flown abroad for further and better treatment. Chidozie was accompanied by Comrade Charles Uzozie (Iyierioba) who will be taking care of him while he undergoes treatment abroad. This early morning our brother Chigozie Onuoha, called the department of Victim Support Team in Biafra land to inform us of his successful arrival in India. We also want to use this medium to thank IPOB Leadership for their tremendous work to make sure that our victims does not feel rejected and Abandoned. ← Previous Story Just In! IPOB announces participating in the Irish biggest National event, "St. Patrick Day"